The kids and I are diving headfirst into the Fall fun around here! 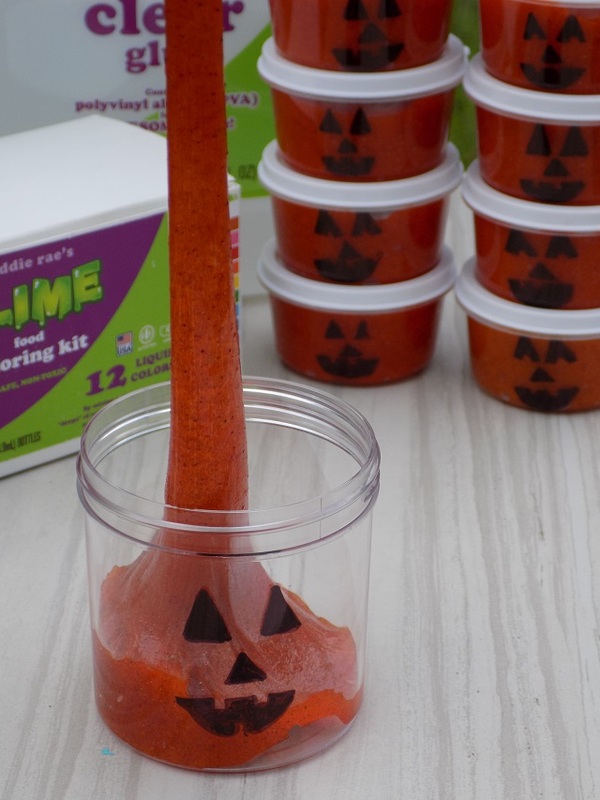 We had a blast in the kitchen last weekend making this Pumpkin Pie inspired slime recipe, and these adorable DIY Jack-O-Lantern slime containers to store it in. The recipe that we concocted is borax-free, and safe for little hands to touch, plus it smells DELICIOUS! 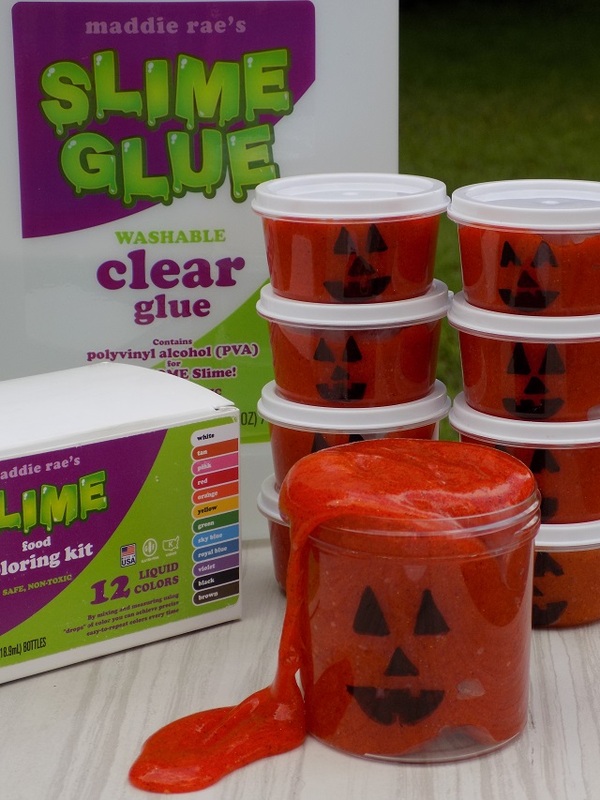 It's the perfect DIY craft to make with younger children at Fall / Halloween themed parties, or for using as fun candy-free party favors / to hand out to trick-or-treater's on Halloween. Though we used larger jars from Maddie Rae's collection, we also found these adorable mini-containers at Dollar Tree ( they came in packs of 10 for just $1!). 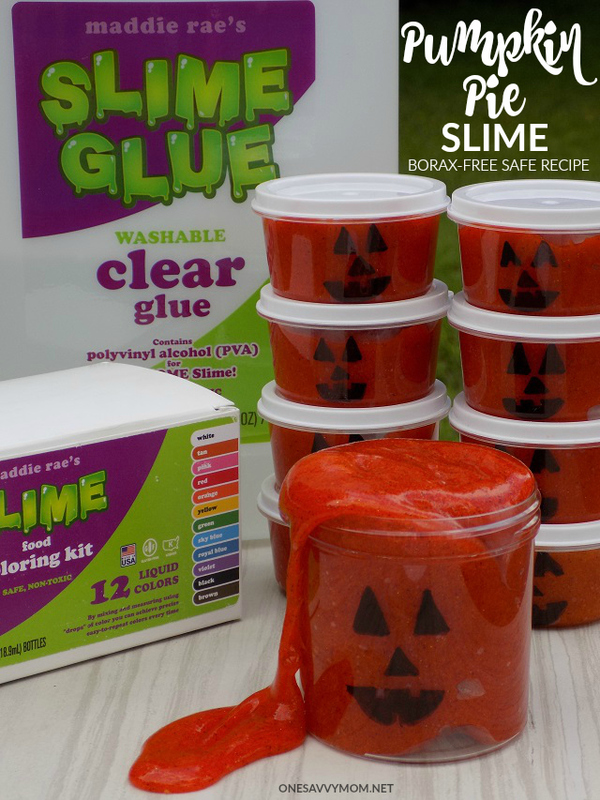 Grab our simple 4 ingredient (borax-free) safe recipe for Pumpkin Pie Slime, below. A large craft stick / popsicle stick (for mixing/combining ingredients) or a spoon. In a mixing bowl, add 1 cup of Maddie Rae's Clear Slime Glue. Next add food coloring. Stir until well combined. Next, add pumpkin pie spice. Stir untill combined well. Now add saline solution. Stir quickly and continuously untill slime starts to form and seperate from the sides of the mixing bowl. If it's still a bit sticky, add a drop or two of saline solution at a time until you achieve desired consistency. 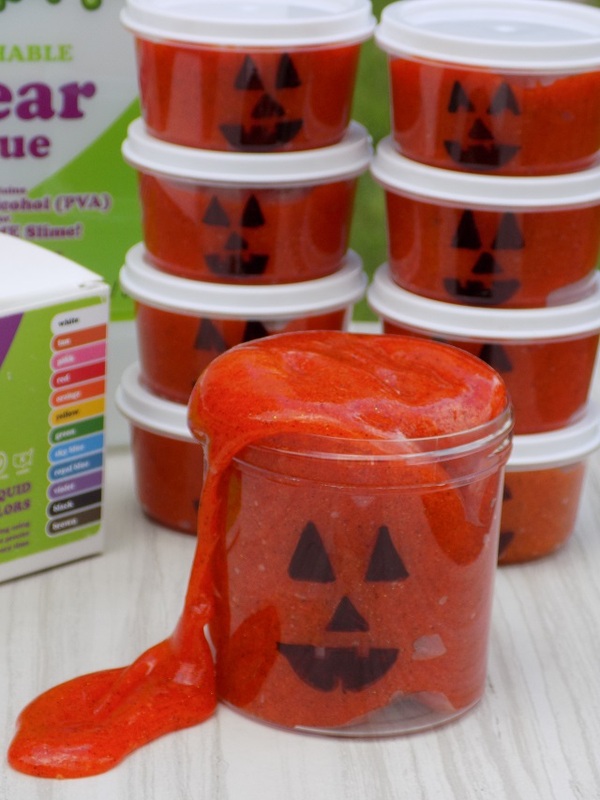 Draw fun Jack-O-Lantern faces on the front of each of your slime storage containers / jars with a fine-point black permanant marker. Allow adequate time for marker to dry (about 10 minutes). 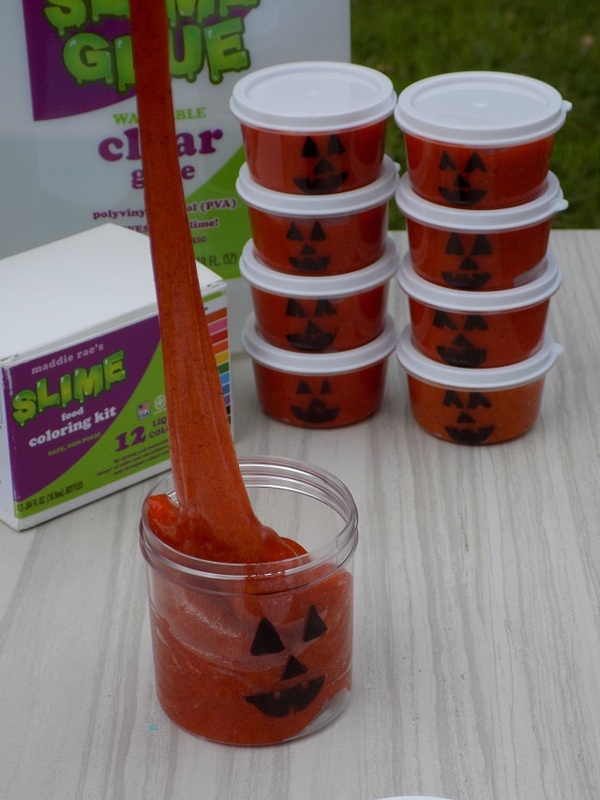 Add your pumpkin pie slime to each storage container. Place the lid on and store in a cool dry place (slime typically lasts for 10-14 days). Play, have fun, and enjoy! Happy slime making, friends! Disclosure*// Our Thanks To Maddie Rae's for providing product samples for us to use for our recipe. All opinion expressed are our own.